lessons at the private studio of Prof. Su in Beijing. 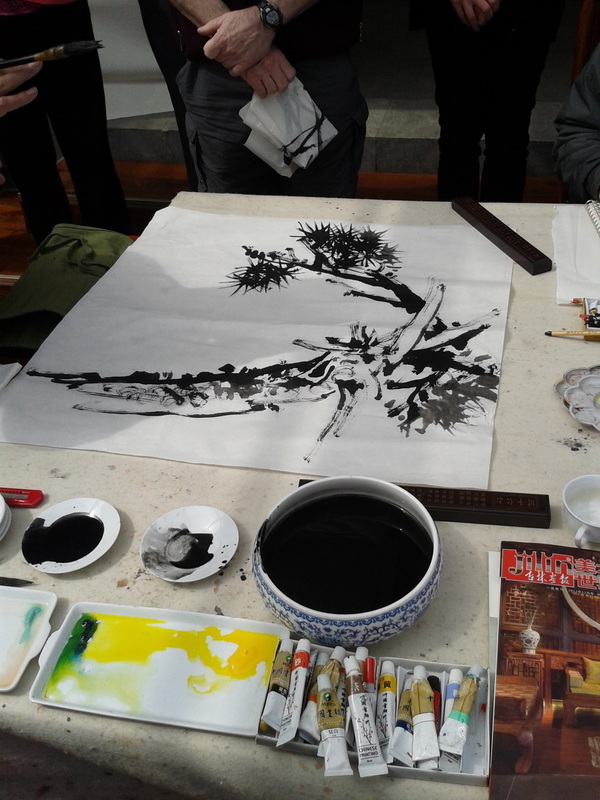 Chinese Brush Painting with my good friend Ning Yeh. Huntington Beach, CA. Ning giving us a quick demo, in Shanghai, during my trip to China. Myself and Prof. Su.. 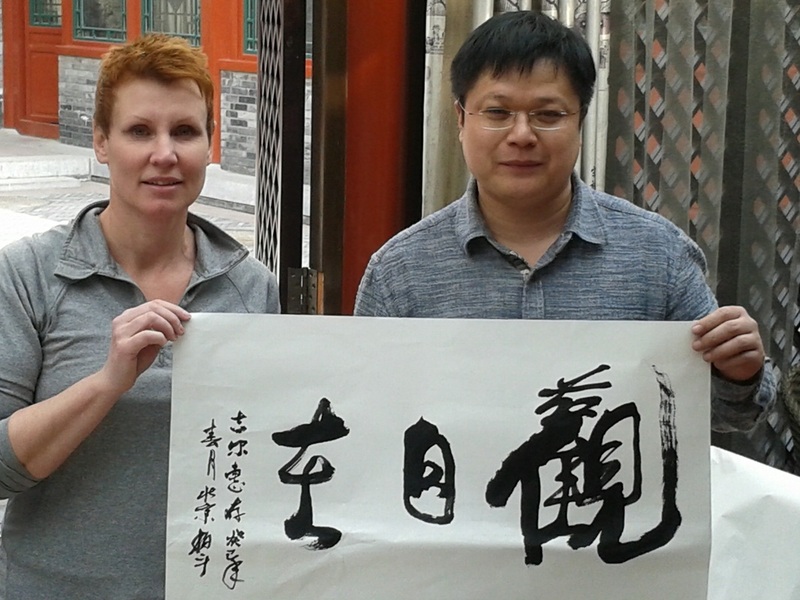 He very generously painted a calligraphy for each of us in the course. Through the adult education program at North Island College, Courtenay BC, I have taken courses with Marilyn Timms in watercolours and Channing Holland in acrylics.